We are happy to announce our latest collaboration with Captain Form as a part of the Visual Composer Compatibility Program. Add Captain Forms to your WordPress site right from the Visual Composer editor. Create your forms and surveys with Captain Form builder. Use Visual Composer drag and drop editor to place them anywhere on your page. 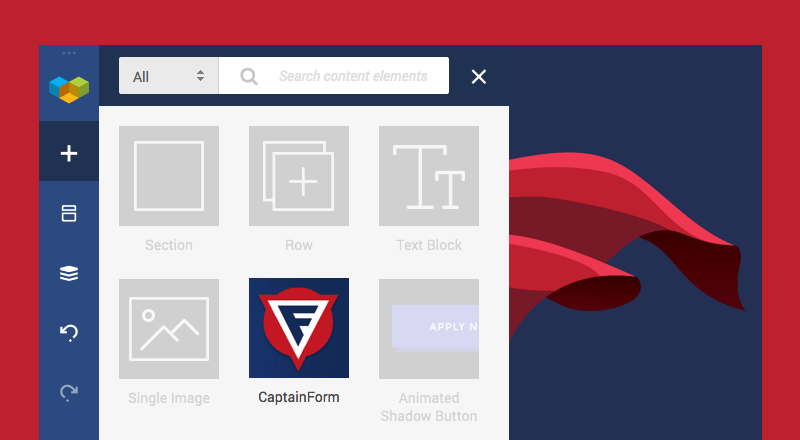 All you need to do is download Captain Form element from Visual Composer Hub. Place the element on your page and take full control over your forms. Indeed. Because adding a contact form to your site should be as easy, as adding a text block. And with the options and templates of Captain Form plugin, it is faster than ever. We can continue with more and more benefits, but would highly recommend visiting Captain Form website for a detailed list of features and options. Adding a form to your WordPress site can be frustrating. Going back and forth from WordPress Editor to the Preview is time-consuming. Additional buttons make interface heavy. Not seeing actual results is annoying. Get the one element to control your forms. With the compatibility element, you finally become the captain of your forms. How to get Captain Form element? If you have Visual Composer Website Builder and Captain Form installed on your site - you already have it all to get started. Visual Composer Premium license gives you access the Visual Composer Hub. A place where you can instantly download elements, templates, and extensions. To get the compatibility element, simply open Visual Composer Hub and download Captain Form element. The element will instantly appear under your Add Element menu. From that point, you are all set. How to Use Captain Form element? 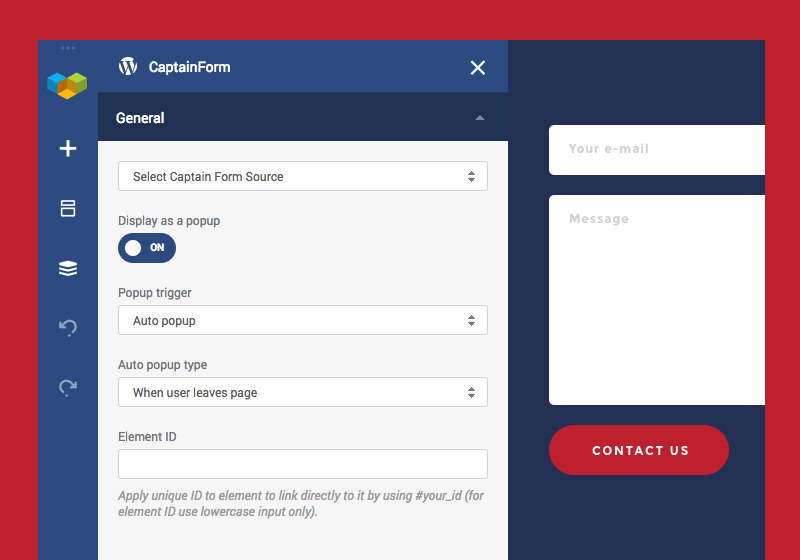 Using Captain Form with Visual Composer is easy. You don't need to change your flow or learn new things. Create your forms and surveys with Captain Form editor just like you did before. But, instead of fighting with shortcodes and remembering form IDs, you can use the Captain Form element in Visual Composer. Place the element anywhere in your layout and select the form you want to display. Visual Composer will show the list of all your forms in a drop-down menu making it easy to find the right form. Your form will be instantly displayed in the Frontend editor with all styles applied. Simply save your page, and your form will get Published. For advanced users, there is something more. Imagine you have a form added, but the styling not precisely where you want it to be. Maybe you need just a small CSS tweak? 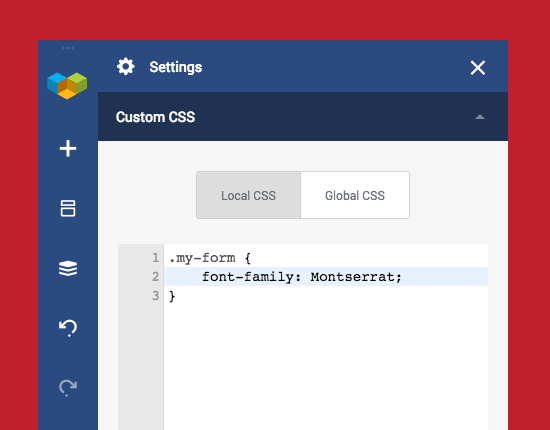 Quickly add an extra class name to your Captain Form element and add your custom CSS right from the Visual Composer editor. Need to adjust several forms at once? Use the same extra class name and Global CSS option to apply changes all over your website. We do care about your timing and performance, this is why Visual Composer gives you the pro tools to fasten your web development. To spice up your life, we are happy to share an exclusive promo code with 40% off for all Captain Form premium versions. Available to Visual Composer users. Want to build better forms? This is your chance. A limited time offer won't be there forever so hurry up! Like the discount? Happy to see another seamless integration? Looking for more shortcuts like this? Let us know in the comments below - your feedback matters.